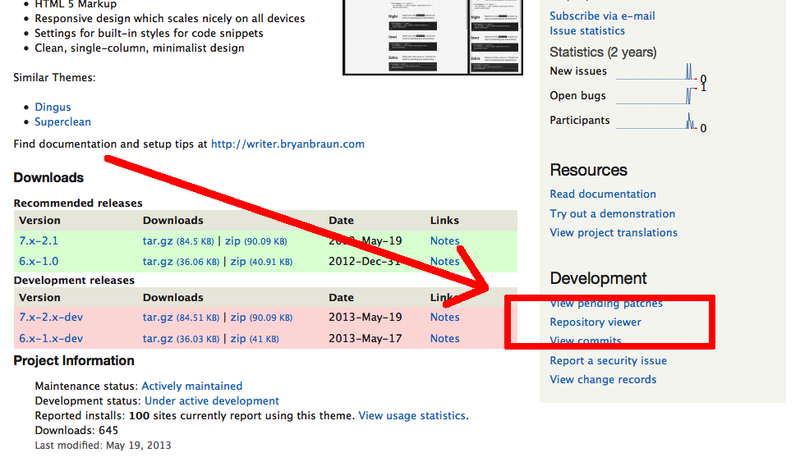 How do I "see" my contributed code on Drupal.org? The first time I hosted code, I did it on Github. Naturally, I got really used to the slick interface for browsing through my remote files, viewing my commits, and generally visualizing what I had hosted on their site. 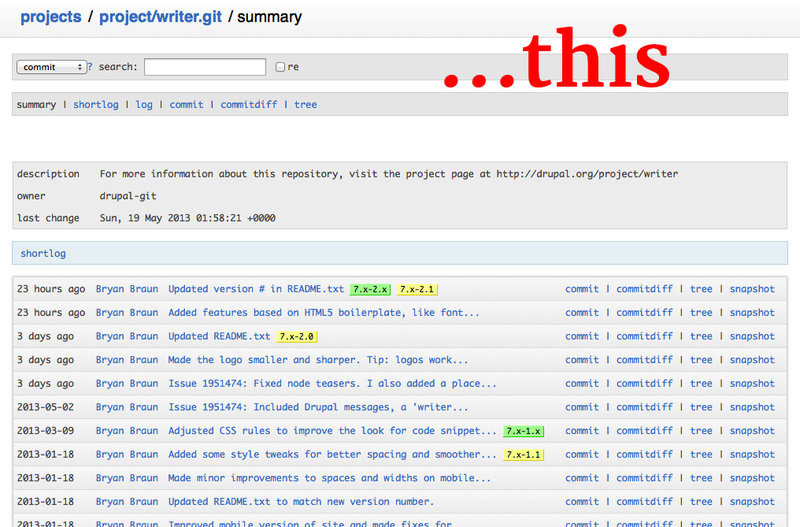 So when I started contributing code to drupal.org, I felt like I was working in the dark. I’d send up my commits and branches, and trust that they were up there, even if I couldn’t “see” them. 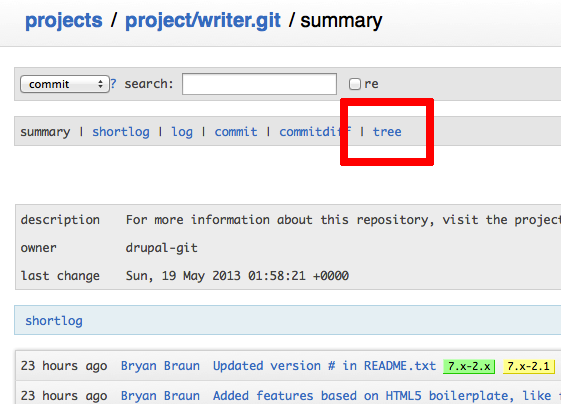 Little did I know, that you actually CAN browse through your code on Drupal.org. 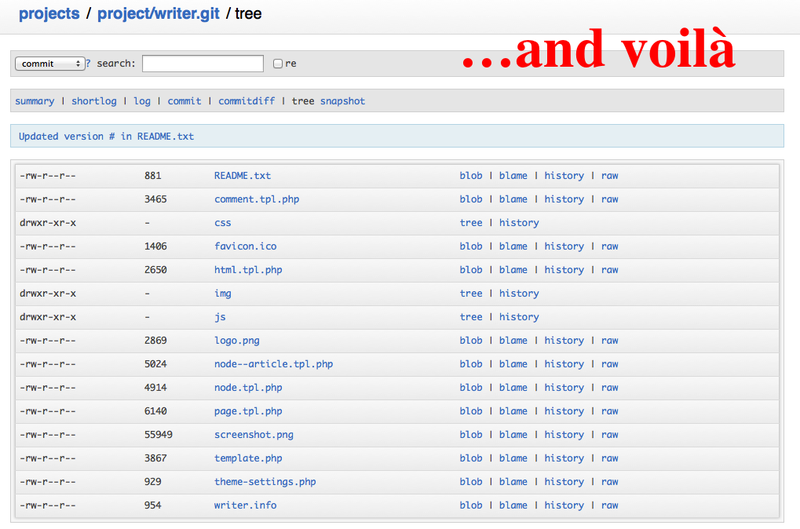 Your files were there all along… hidden in plain view. If your curious about how it works, the display is generated using Gitweb, an open source project for viewing remote git repositories in a web browser. This functionality used to be available at cvs.drupal.org, before the community migrated to Git for version control, and the code browser apparently moved to drupalcode.org.